If you are looking for a way to present your bakery in the best light, Yamiz is a great option for your needs. 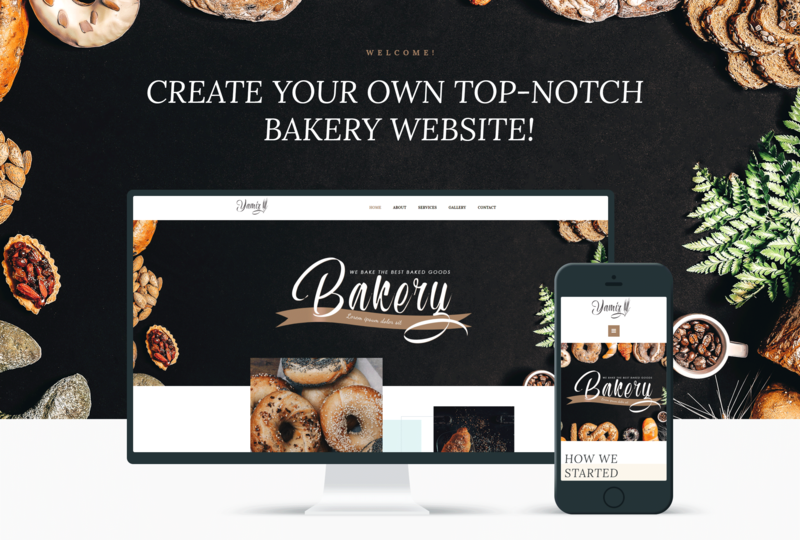 You will demonstrate a range of services, a menu, images of sweet baked goods and much more using a professional Bakery WordPress theme. It has a bright design and strong functionality. You will enjoy the process of customizing your website according to your purposes and taste using a powerful Jet plugins toolset for Elementor page builder. You will be able to add a parallax effect to sections using JetElements plugin, which, moreover, will provide you with special widgets for enriching content. With JetTricks plugin you will jazz up your website with the help of applying animation effects and visual tricks to the widgets. JetThemeCore plugin will allow selecting pre-designed blocks and inserting them into pages via Magic Button option easily and quickly. Using JetTabs plugin you will set the content into stylish tabs and accordion blocks without any coding skills. Yamiz theme includes pre-styled page layouts, About and Services pages, where you will inform about your bakery shop and services, which are provided in the most amazing form. 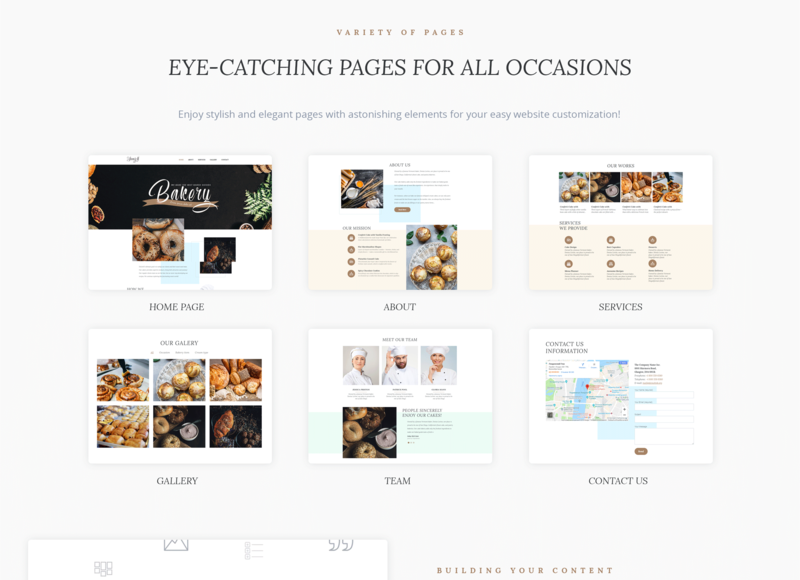 Engage more fans of your tasty baked goods using a responsive, user-friendly Yamiz theme.